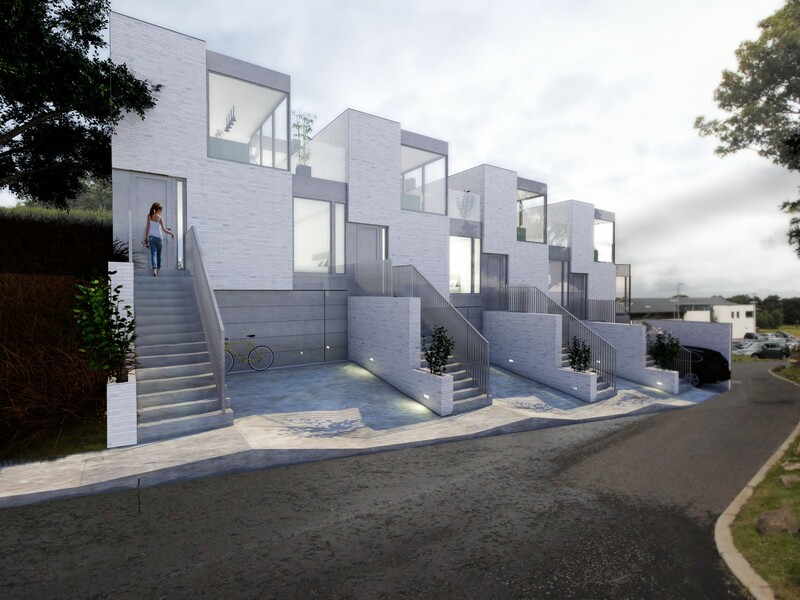 LBA have won planning consent to erect a terrace of four contemporary townhouses at Baberton Avenue, Juniper Green, designed to nestle within the sloping topography. The elevated plot sits alongside Baberton Golf Course, affording it open aspects across the greens and beyond to Bloomiehall Park and Edinburgh Castle, a vantage which is put to its full potential by adopting an ‘upside down’ design with the living, kitchen and dining spaces located on the top floor behind glass corner picture windows. 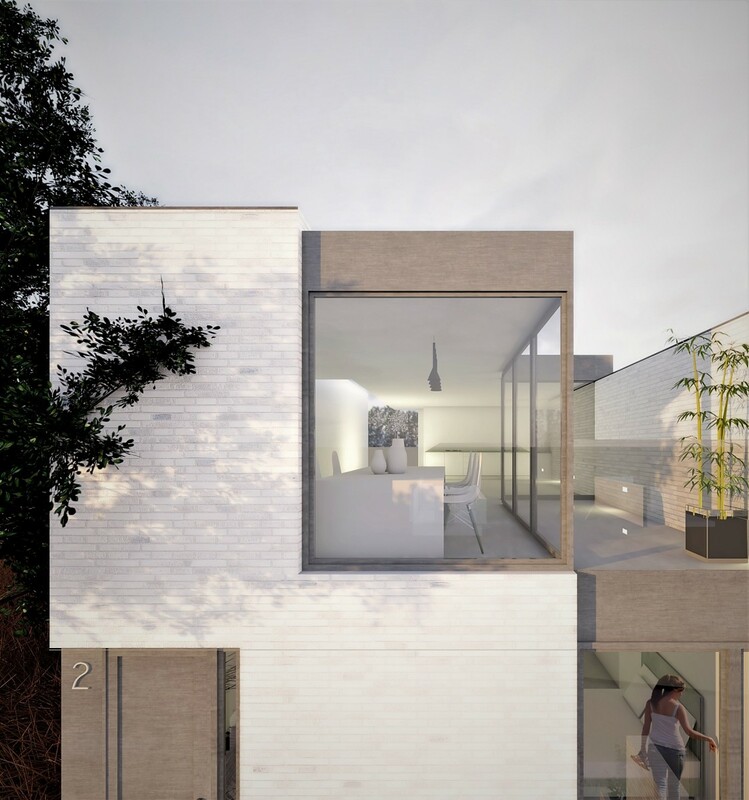 Roof spaces between first floor living areas double as external balconies, diminishing the overall impact on the surroundings while a partially excavated ‘underground storey’ tucks away a double garage and two double bedrooms. 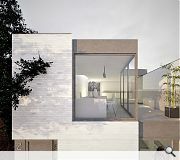 Formed predominantly from brick wrapped around the two upper floors and continued internally to the master bedroom, terrace and kitchen, together with aluminium cladding and frameless glazing. Looks great- well done LBA!